We performed this work to highlight the in vitro antifungal properties of two amidophosphonates newly synthesized (AP1, AP2). These molecules were synthesized from amino esters and chloroacetyl chloride in two steps using the Michaelis-Arbuzov reaction. We have selected after testing several concentrations 15, 20 and 25 μM for AP1, 10, 25, 40 μM for AP2. The study of the antifungal power by solid medium-diffusion method was performed after microscopic study and purification of fungal isolates from wheat leaves hard, give us the opportunity to identify two fungi: Septoria tritici and Aalternaria tenuis. Results show an antifungal power of two molecules, the growth inhibition-percentage is higher among Aalternaria tenuis. In addition, AP2 molecule appears to have a stronger antifungal activity. Determining the Minimum Inhibitory Concentration (MIC) by the dilution method in liquid medium, shapeless on the effectiveness of our molecules which is to order of 40 μM (AP1) and 25 μM (AP2) for Septoria tritici, 25 μM (AP1) and 15 μM (AP2) for Alternaria tenuis. Molecules with phosphonate group are widely studied in biochemistry and medicine (Groutas et al., 1998). They saw applications inbound as antiviral agents (Snoeck et al., 2002), antibiotics (Johnstone and Rose, 1979), neuroatcif (Ortalo-Magne et al., 2005), herbicides (Matsuno-Yagi and Hatefi, 1993), fungicides (Maier and Diel, 1994) and cancer (McGuigan et al., 2005), (Fig. 1). Chemical control is the most means effective short-term. Since, 1930s, the evaluation of thousands of new molecules has led to the gradual development of active ingredients more efficient (Serghat et al., 2004). Phosphonates are distinguished by their excellent efficiency regarding diseases caused by various Phycomycetes as an example Phytophthora and their biological properties, as a chemical agents "Alternative", acting not on the pathogen it self but involving the defense mechanisms of the host plant (Guest et al., 1988). If their activities in the fight against lower fungi (Oomycetes) are recognized, they could also be used against other classes of fungi (Barchietto, 1989; Bompeix, 1989). The evaluation of the potential biological activity, in particular pesticide of amidophosphonates is causing by combination phosphonyl-carboxamide (Kafarski et al., 1985). Given the importance of these compounds, we were interested in this study to two new molecules (AP1 and AP2) containing amidophosphonate moiety, synthesized by application of the Arbuzov reaction using triethylphosphite (Guezane et al., 2012; Arbuzov, 1906). In this context, the main aim of this study is to evaluate the antifungal potential of these synthetic amidophosphonates and evaluate their effects on the growth of two fungal isolates which cause hard wheat leaf diseases: Septoria tritici and that of Aalternaria tenuis. Wheat is a cereal that has an important place in Algeria and is the backbone of the food system (Khalil, 1977) and its infestation of mold can cause significant losses by reducing its quality and/or quantity (Terrain and Graallet, 2003) and search alternatives to better protect seeds should be taken into consideration. Synthesis of α-amidophosphonates (AP1, AP2) by the michaelis-arbuzov reaction: The starting chiral methyl-chloroacetamide alkyl esters were easily prepared in excellent yield (90-95%) by treatment of the chiral amino esters with chloroacetyl chloride in the presence of Triethylamine (TEA) in Tetrahydrofuran (THF) at 0°C, followed by the Michaelis-Arbuzov reaction with triethyl phosphite gave the chiral methyl 2-(diethoxyphosphoryl)acetamide 2-alkylacetate AP1 et AP2 in (88-90%) yield (Fig. 2). Preparation of AP1 and AP2 solutions: We prepared solutions of 10 mL from 0,232 g to the AP1 and 0,114 g of the AP2. We also dissolved these molecules in acetone (2%) and after several tests in the laboratory, we have selected concentrations of 10, 25 and 40 μM for AP1 molecule and 15, 25 and 40 μM for AP2 molecule. Biological material: Biological material used in this study is represented by the strain of Septoria tritici and Alternaria tenuis isolated from wheat leaves of a crop field between November, 2012 and April, 2013, identified and analyzed at the mycology laboratory of the National Institute of Plant Protection (NIPP). This identification is based on macroscopic criteria (general appearance of colonies) and microscopic (Study of vegetative filaments, fruiting bodies and spores etc.) (Chabasse, 2002). Culture medium: The strain of Septoria tritici and Alternaria tenuis, were revived in petri dishes of 90mm of diameter on Malt agar medium at 20 mL per dish, incubated in climatic chamber at 20 and 22°C to darkness for 7 days (Champion, 1997). Evaluation of antifungal activity of AP1 and AP2 molecules: Antifungal activity was evaluated by solid medium-diffusion method (method of disks). Measuring diameter of inhibition pushed mushrooms, used to calculate the MIC (minimum inhibitory concentration) and to evaluate the percentage of inhibition relative to the activity of a reference antifungal marketed in Algeria: Moncozeb (Delahousse, 2003). Determination of diameters of inhibition zones: We used solid medium-diffusion method as reported by Rasooli et al. (2008) Paper discs whatman No. 40 at 6 mm of diameter previously prepared and impregnated with different concentrations of AP1 (15, 20 and 25 μM) and AP2 (10, 25 and 40 μM), are placed on the agar previously seeded to suspension of Septoria tritici and Alternaria tenui, from a pre-culture of 2 days. The absence of mycelial growth is reflected by a translucent halo around the disc, whose diameter is measured using a graduated rule (including the disc diameter 6 mm). We also used Moncozeb as fungitoxic reference (positive control), distilled water for negative control and control acetone at 2%. Incubation is realized in to climatic chamber at temperature of 20±2°C for 7 days. Experiment was performed in triplicate (03 replicates for each). Determining the rate of inhibition: The growth filaments is daily recorded and measurement of diameters of the two colonies was performed at the end of incubation for calculating the rate of inhibition (I%) (Laib, 2012). MIC determination by the method of broth dilution: We have used concentrations presenting percentages of inhibition higher or equal to 50%. The 100 μL of our solutions with different concentrations were added to 900 μL of middle liquid malt-agar containing the test strain. The tubes thus prepared are incubated at 20±2°C for 7 days. After incubation, the tubes in which no overall growth of mold are identified: MIC is the minimum concentration for which no overall mold growth compared to the control without product, it provides information on the effectiveness of molecules studied (Rotimi et al., 1988). Statistical analysis: Statistical analysis was performed by Student's t-test using the software MINITAB Eng Version 13.31 (Dagnelie, 1999). Determination of the diameters zones of inhibition: Table 1 shows the evaluation of the antifungal activity of AP1 and AP2 molecules. We note that for the strain of Septoria tritici, diameter of inhibition is 15 mm from 10 μM of AP1, whereas for strain of Alternaria tenuis, diameter of inhibition is 12.4 mm from 10 μM and reach a maximum of 22.33 mm at 40 μM, in contrast to the positive control, inhibitor effect is much more marked. However negative control and control acetone have no inhibitory effect (0 mm). For AP2 molecule, we see an inhibitory effect of the reference molecule (positive control) ranging to 22.5 mm to Septoria tritici until 23.3 mm for Alternaria tenuis. By against, inhibitory effect of AP2 seems stronger for the strain of Alternaria tenuis with inhibition diameters varying between 14 and 23.98 mm for different concentrations used. Negative control and acetone control show no inhibitory effect (0 mm). Determining the rate of inhibition: From Table 2 We note that the negative control (distilled water) and the acetone control show no inhibition rate on the strain of Septoria tritici and Alternaria tenuis (null Activities). by against the AP1 and AP2 molecules had varying activities. Concerning Alternaria tenuis, AP1 molecule gave greater than 50% inhibition rate at concentrations of 25 and 40 μM, these rates are highly significant (p≤0.01) relative to that of the positive control. However, Septoria tritici has proved less sensitive with one very significant inhibition rate (p≤0.01) of 50.12% for concentration of 40 μM. Alternaria tenuis proved most sensitive to AP2 molecule, despite using lower concentrations than that used for the AP1 molecule, very highly significant inhibition rate (p≤0.01) higher than 50% were found for all three concentrations used. Parallel for strain of Septoria tritici, very highly significant inhibition rate (p≤0.01) greater than 50% are marked only for concentrations of 20 and 25 μM. Determination of MIC: Table 3 shows the Minimum Inhibitory Concentrations (MIC) of molecules AP1 and AP2 on both fungal strains studied. We're interested with inhibitions rate over 50%. The MIC obtained varied based molecules and fungal species. The AP1 is active molecule on the growth of two fungal strains with respective MIC at 40 and 25 μM. However, AP2 molecule has greater activity with MIC of 25 μM for strain of Septoria tritici and 15 μM for strain of Alternaria tenuis. Synthetic antifungal agents are applied at large scale for prevent mycelial growth (Prasad et al., 2010). The difficulty of developing an antifungal molecule is linked on the one hand to the ultra structure of the fungal cell that has three barriers: the chitinous cell walls, membrane ergosterol and eukaryotic nucleus (Chami, 2005). On the other hand, antifungal molecules themselves that can cause resistance (Prasad et al., 2010; Prasad and Kapoor, 2004). The disk diffusion method allowed us to demonstrate antifungal power of our two α-amidophosphonates modified (AP1 and AP2) regarding the tested fungal strains. One of factors influencing intensity of antifungal action is the dose, it was generally observed in vitro on antifungal activity of the essential oil (Do Amaral et al., 1998; Evans and Martin, 2000; Castillejos et al., 2006). Results obtained in this study shows a decrease in mycelial growth of Alternaria tenuis and Septoria tritici, this reduction is dependent on dose of AP1 and AP2 molecules, with zones of inhibition more marked by the treatment with Moncozeb. This is due to the fact that some fungicides are acting on the energetic system of fungal cells by inhibiting the respiratory process, on the other are acting on the synthesis of the constituents of the fungus. Substances have yet aim to disrupt the cells and their divisions within fungal fabric (Rocher, 2004). This inhibition may also be due to the prevention of conidial germination: an essential first step in the sequence of operations leading up to the establishment of germinative tube and the hyphe, thereafter. The process begins by hydration followed by lytic enzymes action such as chitinase and α and β-glucanases. This lead to decomposition of the cell wall of conidia thickened to allow the appearance of the initial digestive tract. Once this event occurs, there is a balance between the lytic systems and synthetic of enzymes necessary for the normal extension of the hyphae. An imbalance in one or the other enzymes system leads to the inhibition and/or prevention of growth (McEwan, 1994). In the case of amidophosphonates (oranophosphorus), the molecules used may have an inhibitor power of lipid peroxidation identical to that resulting from the activity of tolclofos-methyl cited in the works of Rocher (2004) used against the Rhizoctonia of potato, further phosphonates are at the origin of a phosphate deficiency in fungi causing the synthesis of substances inducing elicitation in the host plant (Leroux, 2003a, b). The phosphonate is a strongly systemic product: he travels the whole plant by the two streams of the sap (Leconte et al., 1988). It indirectly stimulates the defense system of plants. Indeed, in Arabidopsis, has been shown that fosetyl induces expression of PR-protein PR-1 involved in the systemic acquired resistance (Chuang et al., 2000). It has been demonstrated by the work of Bompeix et al. (1981) and Saindrenan (1990) that the phosphonate is the active metabolite of fosetyl-Al, systemic fungicide. His behavior is different from that of fungicides at direct action: it discreetly disrupts the metabolism of pathogens agents and leads to hyper-production of secondary metabolites elicitors of plant defense reactions. Our results point in the same sense that those of Zahri et al. (2008) who have highlighted the manifestation of a good antifungal potency against the wheat Septoria due to Septoria tritici, under effect of other fungicides including triazoles, carbendazimes and carbamate derivatives. Strain of Alternaria tenuis appears to be most sensitive to amidophosphonates tested, this result is comparable to the work of Bouguerra (2012), whose the genus Alternaria is the most sensitive to the essential oil of fennel seeds with a total inhibition 4000 μg mL‾1. Laib (2012) have shown that the genus Alternaria isolated from chickpeas has a sensitivity towards essential oil of dry flowers of Lavandula officinalis. Mancozeb or monoalkyldithiocarbamate usually used against Helminthosporium diseases, the rusts and rots, also shows a significant fungicidal action on Septoria tritici and Alternaria tenuis. Mancozeb contact fungicide has a preventive activity, its fungitoxic effect was attributed mainly to its ability to generate isothianate which inactivates the thiol group of enzymes and metabolites in cells (Ragsdale, 1994). The rates of inhibition and determination of MIC of Amidophosphonates on fungal strains by the method of broth dilution, confirm the results obtained in solid medium. According to the results, rates of inhibition greater than 50% are characterized by the activity of the molecule AP2 with the best MIC ranging to 25 μM for strain of Septoria tritici and 15 μM for strain of Alternaria tenuis. The difference in sensitivity may be due to some factors, namely the type of target microorganism (Magan and Olsen, 2004) and the difference between the molecular structure of the AP1 and AP2 molecule and their mode of action. Results obtained in this work shows fungitoxic effect of the two molecules newly synthesized (AP1, AP2) to mold hard wheat. When the highlight of this activity, it was found that these molecules have varying activities against testing strains and Alternaria tenuis is the most sensitive strain. In addition, AP2 seems to be the most active molecule. This should be taken into consideration in the design of future fungicides. This study was generously supported by the General Directorate for Scientific Research and Technological Development (DG-RSDT), Algerian Ministry of Scientific Research. Arbuzov, A.E., 1906. On the structure of phosphonic acid and its derivates: Isometization and transition of bonds from trivalent to pentavalent phosphorus. J. Russ. Phys. Chem. Soc., 38: 687-687. Barchietto, T., 1989. Mode of action of an anti Omycetes, phosphonic acid, active metabolite of tris-O-ethyl phosphonate aluminum. Ph.D. Thesis, France University of York, Paris-Sud, Orsay. Bompeix, G., 1989. Fungicides and plant-parasite relationship: The case of phosphonates. Comp. Rendus Acad. Agric., 75: 183-189. Bompeix, G., F. Fettouche and P. Saindrenan, 1981. Action of fosetyl-Al mode. Phytiatr. Phytopharm., 30: 257-272. Bouguerra, A., 2012. Study of the biological activities of the essential oil extracted from the seeds of Foeniculum vulgare Mill. Master Thesis, Mentouri University Constantine. Castillejos, L., S. Calsamiglia and A. Ferret, 2006. Effect of essential oil active compounds on rumen microbial fermentation and nutrient flow in in vitro systems. J. Dairy Sci., 89: 2649-2658. Chabasse, D., 2002. Molds of medical interest. Training of Medical Biology Notebook No. 25, pp: 25-27. Chami, F., 2005. In vitro evaluation of the antifungal action of essential oregano and clove oils and their majority in vivo application in the prophylaxis and treatment of vaginal candidiasis on rat models and immunocompromised mice compounds. Ph.D. Thesis, Sidi Mohamed Ben Abdellah University, Morocco. Champion, R., 1997. [Fungi Identify Transmitted by Seeds]. INRA Editions, Paris, France, ISBN-13: 9782738007025, Pages: 398, (In French). Chuang, H.W., T.F. Hsieh, M. Duval and T. Thomas, 2000. Genomics analysis of plant responses to the fungicide fosetyl by combining SSH and DNA microarrays. Proceedings of the 8th Conference on Plant and Animal Genome, January 9-12, 2000, San Diego, CA -. Dagnelie, P., 1999. Theoretical and Applied Statistics: Statistical References to One and Two Dimensional. University of Minnesota Press, Minneapolis, Pages: 659. Delahousse, G., 2003. Plants of antifungal properties. Ph.D. Thesis, Faculty of Pharmacy, University of Nantes. Do Amaral, A.L., F.K. dal Soglio, M.L. de Carli and J.F.B. Neto, 1998. Pathogenic fungi causing symptoms similar to Phaeosphaeria leaf spot of maize in Brazil. Plant Dis., 89: 44-49. Evans, J.D. and S.A. Martin, 2000. Effects of thymol on ruminal microorganisms. Curr. Microbiol., 41: 336-340. Groutas, W.C., R. Kuang, S. Ruan, J.B. Epp, R. Venkataraman and T.M. Truong, 1998. Potent and specific inhibition of human leukocyte elastase, cathepsin G and proteinase 3 by sulfone derivatives employing the 1,2,5-thiadiazolidin-3-one 1,1 dioxide scaffold. Bioorg. Med. Chem., 6: 661-671. Guest, D.I., P. Saindrenan, T. Barchietto and G. Bompeix, 1988. The phosphonates, anti-oomycete chemicals with a complex mode of action. Proceedings of the 5th International Congress of Plant Pathology, August 20-29, 1988, Kyoto, Japan -. Guezane, S., M. Berredjem and N.E. Aouf, 2012. Efficient method for the synthesis of α-amidophosphonates via the michaelis-arbuzov reaction. Phosphorus Sulfur Silicon Related Elements, 187: 762-768. Johnstone, R.A.W. and M.E. Rose, 1979. A rapid, simple and mild procedure for alkylation of phenols, alcohols, amides and acids. 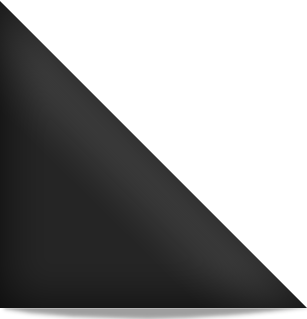 Tetrahedron, 35: 2169-2173. Kafarski, P., B. Lejczak, P. Mastalerz, D. Dus and C. Radzikowski, 1985. N-(Phosphonoacetyl) amino phosphonates. Phosphonate analogs of N-(phosphonoacetyl)-L-aspartic acid (PALA). J. Biol. Chem., 28: 1555-1558. Khalil, M.A., 1977. Influence of warm decor used as a means of struggle against the bean weevil Acanthoscelides obtectus SAY (Coleopterae: Bruchidae) on different states and stages of development. Engineer in Agronomy Memory, INA El Harrach, pp: 77. Laib, I., 2012. Study of antioxidant and antifungal activities of the essential oil of dried flowers of Lavandula officinalis: Application to mold pulses. Nat. Technol., 7: 44-52. Leconte, F., J.L. Bonnemain, L. de Cormis and T. Barchietto, 1988. Metabolic fate, distribution and transport systems (xylem systems and phloem systems phloem) of phosethyl-Al in Lycopersicon esculentum. Mill Comp. Rendus Acad. Sci. III, 307: 221-227. Leroux, P., 2003. Modes of action of agrochemicals against plant pathogenic organisms. Comp. Rendus Biol., 326: 9-21. Leroux, P., 2003. Fungicide resistance in plant pathogens: A phenomenon difficult to manage. Phytoma, 566: 36-40. Magan, N. and M. Olsen, 2004. Mycotoxins in Food: Detection and Control. Woodhead Publishing Ltd., Cambridge, UK., ISBN-13: 9781855737334, Pages: 471. Maier, A. and P.J. Diel, 1994. Synthesis, physical and biological properties of the phosphorus analogues of phenylalanine and related compounds. Phosphorus Sulfur Silicon Related Elements, 90: 259-279. Matsuno-Yagi, A. and Y. Hatefi, 1993. Studies on the mechanism of oxidative phosphorylation. Different effects of F0 inhibitors on unisite and multisite ATP hydrolysis by bovine submitochondrial particles. J. Biol. Chem., 25: 1539-1545. McEwan, M., 1994. The antifungal effects of plant essential oils and their production by transformed shoot culture. Ph.D. Thesis, Strathclyde Institute of Biomedical Sciences, University of Strathclyde, Glasgow, Scotland. McGuigan, C., J.C. Thiery, F. Daverio, W.G. Jiang, G. Daviesb and M. Masonb, 2005. Anti-cancer ProTides: Tuning the activity of BVDU phosphoramidates related to thymectacin. Bioorg. Med. Chem., 13: 3219-3227. Ortalo-Magne, A., G. Culioli, R. Valls, B. Pucci and L. Piovetti, 2005. Polar acyclic diterpenoids from Bifurcaria bifurcate (Fucales, Phaeophyta). Phytochemistry, 66: 2316-2323. Prasad, M.N.N., S.S. Bhat and M.Y. Sreenivasa, 2010. Antifungal activity of essential oils against Phomopsis azadirachtae-the causative agent of die-back disease of neem. J. Agric. Technol., 6: 127-133. Prasad, R. and K. Kapoor, 2004. Multidrug resistance in yeast Candida. Int. Rev. Cytol., 242: 215-248. Ragsdale, N.N., 1994. Fungicides. In: Encyclopedia of Agricultural Science, Arntzen, C.J. (Ed.). Academic Press, New York, USA., pp: 445-453. Rasooli, I., M.H. Fakoor, D. Yadegarinia, L. Gachkar, A. Allameh and M.B. Bagher, 2008. Antimycotoxigenic characteristics of Rosmarinus officinalis and Trachyspermun copticum L. essential oils. Int. J. Food Microbiol., 122: 135-139. Rocher, F., 2004. Chemical control against fungal pathogens of plants: Evaluation of new molecules phloem systemy fungicidal and activators of defense reactions. Ph.D. Thesis, Faculty of Basic and Applied Sciencess, University of Poitiers. Rotimi, V.O., B.E. Laughon, J.G. Barlet and H.A. Mosadomi, 1988. Activities of Nigerian chewing stick extracts against Bacteroides gingivalis and Bacteroides melaninogenicus. Antimicrob. Agents Chemother., 32: 598-600. Saindrenan, P., 1990. Modulation of the interaction plant Phytophthora spp by phosphonates. Ph.D. Thesis, State Natural Science Bachelor of Pierre and Marie Curie, France University, Paris. Serghat, S., A. Mouria, A.O. Touhami and A. Douira, 2004. In vivo effect of some fungicides on the development of Pyricularia grisea and Helminthosporium oryzae. Phytopathol. Mediterr., 41: 235-246. Snoeck, R., A. Holy, P.C. Dewolf-peeters, J. van den Oord, E. de Clercq and G. Andrei, 2002. Antivaccinia activities of acyclic nucleoside phosphonate derivatives in epithelial cells and organotypic cultures. Antimicrob. Agents Chemother., 46: 3356-3361. Terrain, C. and H. Graallet, 2003. Drying of grain in storer organism: A practical guide. ARVALIS, Plant Institute and FFCA, pp: 1-5. Zahri, S., A. Farih, A. Badoc and A. Douira, 2008. Efficacy of several fungicides against wheat septoria. Bull. Soc. Pharm., 147: 39-48.